Diane Hallberg is the director of Band and Orchestra and the head of the Fine Arts Department at the Upper School of Minnehaha Academy in Minneapolis, Minnesota where she recently received a distinguished teaching award. She has led numerous music performance tours in the US and overseas with a special interest in incorporating service learning into these experiences. She is active as a clinician and contest judge in the Twin Cities and has served as the director of the high school flute choir for the Upper Midwest Flute Association. 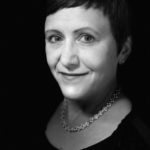 She has served as a section coach for the Greater Twin Cities Youth Symphonies and is also a member of the faculty of the Shell Lake Arts Center summer music program. Ms. Hallberg performs with the Minnesota Symphonic Winds where she has also been a guest conductor. She earned her Bachelor of Arts Degree in music education from St. Olaf College in Northfield, Minnesota and has pursued graduate work at The University of Minnesota and The University of St. Thomas.